Twitter is a great platform to share your thoughts and opinions, to interact with people in your niche, and to promote your business or brand. However, even if you are an active Twitter user, you may not know all of the Twitter secrets that will help you improve your social media presence. You already know that you can add an image to your tweets. Did you know that you can actually add a total of 4 images? All you have to do is click on the photo icon after you have added your first image, and add another. The result is that you have the impact and communication power of four pictures, and you still have your 140 characters left to add the text that you need to drive your message home. Best of all, visual posts are most likely to be retweeted. If you’ve written a tweet that you want to reach as many people and create as much engagement as possible, consider embedding it on your website. Once you tweeted something, click on the ellipsis (...) below the tweet. One of the options that will appear is ‘Embed Tweet’, click on that and you’ll get a URL that you can paste into your website. When you are done, your website visitors will be able to see your tweet without having to access your Twitter page directly. Even better, they can reply, retweet, like, or favorite your tweet directly from your website. One of the best things about the twitter search functionality is that you can find conversations happening in real time that relate to your niche. For example, you could search for ‘single malt scotch’, and then join active conversations and share a review you’ve written a new line of single malt scotches that will be coming available in the United States within the next year. You can also specifically search for tweets limited to a specific geographic area, and tweets that contain question marks. If you can engage with people who are local to you, or if you can answer questions that people have on topics related to your area of expertise, that’s a great way to build relationships. If you search Twitter and use -http to your query, your results won’t include tweets with links. Why would you want to do this? The best way to use Twitter is to participate in genuine conversations that result in relationship building and meaningful engagement. Unfortunately, too many people use Twitter as a spamming ground to drop links in hopes that they will turn a profit through sheer volume of posts. 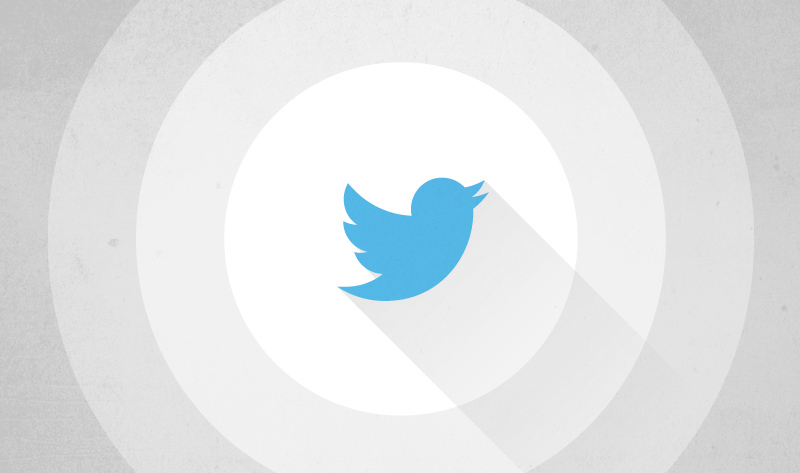 Eliminate tweets with links using this simple hack, and all that noise goes away. This one is simple as can be, but is extremely helpful. Go into your profile, go to the email notifications tab, and click the button to turn them off. You’ll stop getting all of those annoying notifications about who you should be following and who tweeted or retweeted what. One of the more popular hashtags on Twitter is #FF. This is short for ‘Follow Friday’. The idea behind this is that on Fridays people recommend Twitter accounts for other people to follow. While there is no guarantee that somebody will add you to their Follow Friday recommendations, you may have followers who use the hashtag on a regular basis. Post some really engaging content on Fridays, when follow friday is people’s minds, and you just might get a few #FF plugs. When you create a promoted Tweet, you may not want to make it visible to your current followers. For example, if you are in the midst of a campaign to get new followers, you might be offering some incentive for those who start following you or retweet your promoted tweet. If you only want to include your targeted audience members, you can select an option to only send to those accounts, not to the accounts that are already following you. You have 140 characters to get your point across in a Tweet. Shouldn’t you use all of them in order to get all of the information you can into your post? Probably not. If somebody is going to retweet something of yours, they may want to add a bit of their own commentary or tag somebody. Consider leaving a bit of extra room so that your original message is more likely to be left intact. This is especially important if the last part of your tweet is a link. As a general rule, if you have international followers, the best time for you to tweet is during business hours for the Eastern Standard Time zone. This is when you are likely to have the most active, online users reading, retweeting, and replying to your posts. Of course, everybody’s audience is a bit different. If tweeting like an East Coaster doesn’t get the results you want, you can try tweeting on a different time schedule. Try tweeting something particularly engaging such as a giveaway at different times of the day, and see when it gets the most response. You can also use an app like TweetDeck to schedule your tweets to go out on a 24 hour cycle. If you are using the tool, you probably are getting a lot of great feedback from Google Analytics. What you may not know is that Twitter also provides free analytics. All you have to do is sign in and navigate to analytics.twitter.com. There you will receive feedback about your last month of activity. Twitter will tell you about your most influential followers, which followers are new, which content is receiving the most retweets, and more useful data. Click on the Tweets tab in analytics and you’ll get information on impressions and engagement. Finally, if you are signed up for Twitter ads, you can get free access to conversion tracking.